Don’t talk down on citizens, Ezekwesili tells Saraki – Royal Times of Nigeria. Former Minister of Education, Oby Ezekwesili has backlashed Senate President Bukola Saraki for saying the process of recalling Dino Melaye from the Senate was a waste of time. Saraki during plenary on Tuesday had stated that a lot of time was being wasted on the issue while important things are neglected. 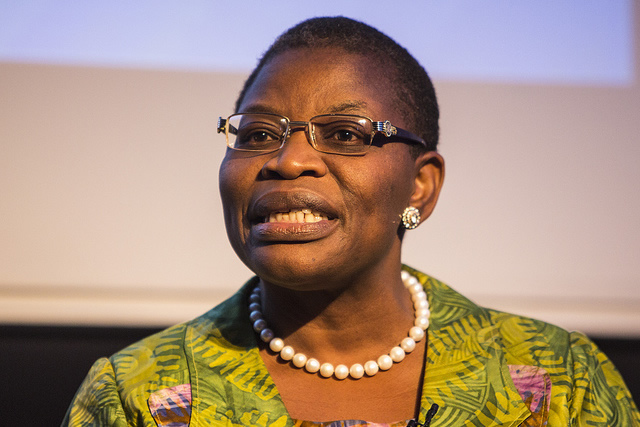 However in a series of tweets on Wednesday, Ezekwesili said Saraki’s statement shows he does not respect Nigerians. She tweeted; “Really? Digging in your pattern of “pocketizing” our Democratic Institution, right? I sorry for you & your ilk. “No serious leader of any institution of Democracy in a serious country that respects its citizens speaks like you.